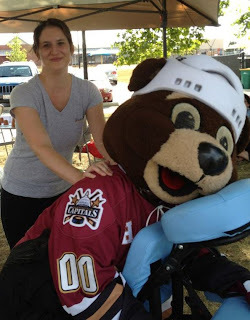 Adrienne Mohn has been a massage therapist for seventeen years. 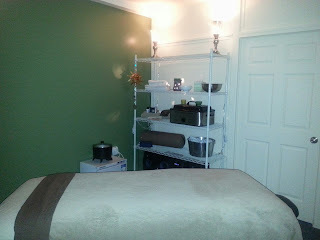 She is nationally certified in therapeutic massage and bodywork and licensed through the Commonwealth of Pennsylvania. Adrienne is also my regular massage therapist (after trying several) and I cannot recommend her highly enough! I remember us first being introduced via Carol Anne Friesen when she thought that perhaps you may be interested in a pregnancy massage. I believe we corresponded briefly via email about questions you had regarding pregnancy massage. Yes, I was having a difficult time finding a therapist when I was pregnant with Violet and in desperate need of some stress relief! We first met in person a couple years ago when I was offering free chair massages at a Kindermusik Christmas gathering/class. I remember leaving the room of the chair massage and telling a friend you had a new client for life! That massage sample had me hooked! What is the most important thing we should know about you? Most important thing to know about me is my belief that we are all here on earth to serve each other through our passions and gifts that have been given to us. I truly believe everyone here matters and has a purpose. 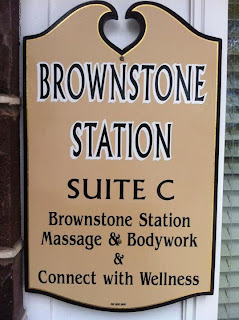 I believe I am here, at this period of my life, to serve people by offering them what I know best and what I love to do and that is massage therapy and bodywork therapies. I LOVE that. Who do you share your life with? What inspires you about your career? I am in a career that doesn't feel like work to me. I am just doing what I love to do everyday and I never tire of it. I meet the most fantastic people and feel blessed to have them as customers. Every day I learn something new. Each and everyone of my clients are individuals and are unique so I customize their sessions based on their needs. Their is no cookie cutter treatment that I give across the board.... so every customer gives me the opportunity to do something and learn something new every day. I can definitely tell that is true from personal experience. You take the time to get to know your clients and really listen to their input about what their bodies are telling them, what treatments they want/need, and what works best for them! Other areas that I'm passionate about are nutrition and holistic therapies especially the powerful benefits of herbs and plant medicines. I study herbalism as a hobby and incorporate herbs into my practice via Steamed Herbal Compresses and am always reading on areas of health and wellness and alternative therapies. I believe we were given everything we need here on the earth in order to be well physically, mentally and spiritually so that we can complete our purpose for being here. I don't really view myself as having challenges but just simply put; opportunities. We encounter scenarios in our life and some may be easily understood by us and the ones that aren't easily understood are opportunities or puzzles to figure out or learn from. So well said, Adrienne! Who else inspires you and why? Who inspires me? Both my parents are inspiring to me. They are good hearted people who showed me patience, kindness, and unconditional love from birth until this present moment so I think that is why these traits are so easy for me to show others. Truthfully most people inspire me. Everyone has a story and in those unique stories you will find miracles, strength, inspiration. It doesn't matter what you do, how much money you make, where you have been. Everyone is unique and inspiring somehow if you just take a minute to talk to them and listen. That's why I love to do this feature and share people like you with our readers! What advice can you give regarding the field of your expertise? My advice to your readers if they want to pursue massage and bodywork therapy or any type of therapy is to research it first and ask questions. I encourage my clients to ask questions about treatments that I offer so that they are a part of and take responsibility for their wellness. I am nothing more than a catalyst in their quest for health and wellness. It is up to them not anyone else to heal or to improve their health. I offer a variety of therapies including various massage modalities such as Deep Tissue, Swedish, Orthopedic, Prenatal massage. Some integrated energy based bodywork therapies I offer are Thai yoga Massage, Hawaiian Lomi Lomi Massage, Aviana Touch Therapy. I offer Reiki as well and this would be considered solely as energy work. I always consult with my clients prior to each session so that we can together come up with a treatment plan that will best suit them and their needs. I will usually incorporate multiple modalities into one session. My website, Facebook, and I co-host the Think World Peace Facebook Page with creator and co-host Alan Jordan, owner of Intuitive Bodywork and Massage in New Cumberland. Adrienne has generously offered to hold a giveaway for our local readers! Enter the Rafflecopter contest below for a chance to win her Trio Sample Spa Package which includes massage, bodywork, and spa service all in one appointment! 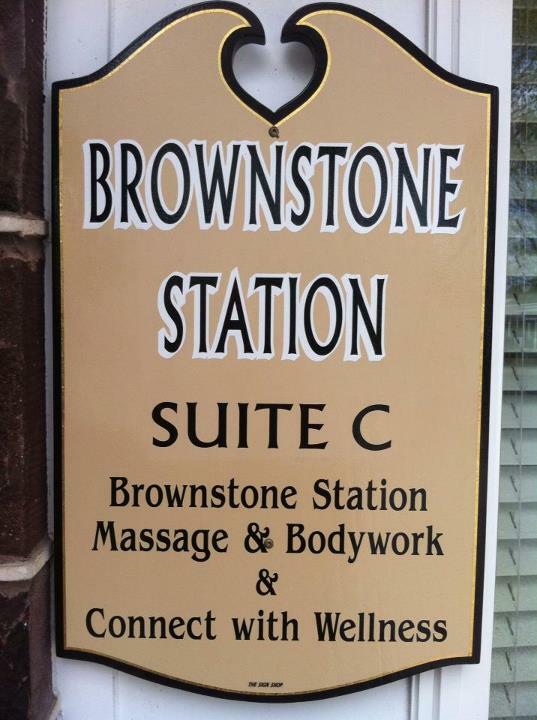 You'll receive a sugar foot scrub, reflexology, and a full body relaxation Swedish massage! Read more about our Show & Tell feature. Massage is the one "medicine" that most people love to take, and for good reason. We humans were meant to touch each other. It's a very key component of being human, and one that has been a part of every healing tradition since the dawn of time.